This board is based on a powerful 32bit CortexM3 ARM microcontroller made programmable through the familiar Arduino API and its development environment. It’s an important step forward for Arduino as it increases the computing power available to Arduino users keeping the language as compatible as possible so that many programs will be migrated in a matter of minutes. 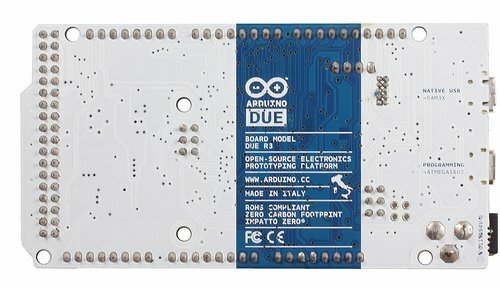 You can read all about the geeky details on the Arduino Due product page.